Warid Telecom, Dhabi Group’s Telecom arm in Pakistan, has been awarded the FDI Excellence Award. 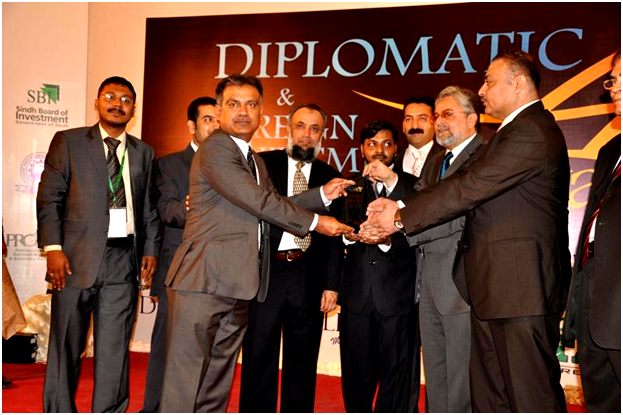 Award is to recognize the commendable role and efforts of foreign direct investors in Pakistan. The ‘Diplomatic and Foreign Investment Excellence Awards’ event was organized by ‘Diplomatic Call International and Members of Managing and Advisory Committee’. Warid Telecom is Pakistan’s leading cellular operator that is widely acknowledged for its excellence in cellular services. The company is one of the top foreign direct investor in Pakistan that played a very substantial role in supporting economy of the country as well as creation of mass job and business opportunities. The company also holds a very strong brand reputation and exceptionally positive customer loyalty trends. This is such a great achievement. These foreign direct investors are playing a very positive role in uplifting the economy of the country and I hope Pakistan becomes a more better place for such investments.